It is the 100th concert going on sale since 2005. 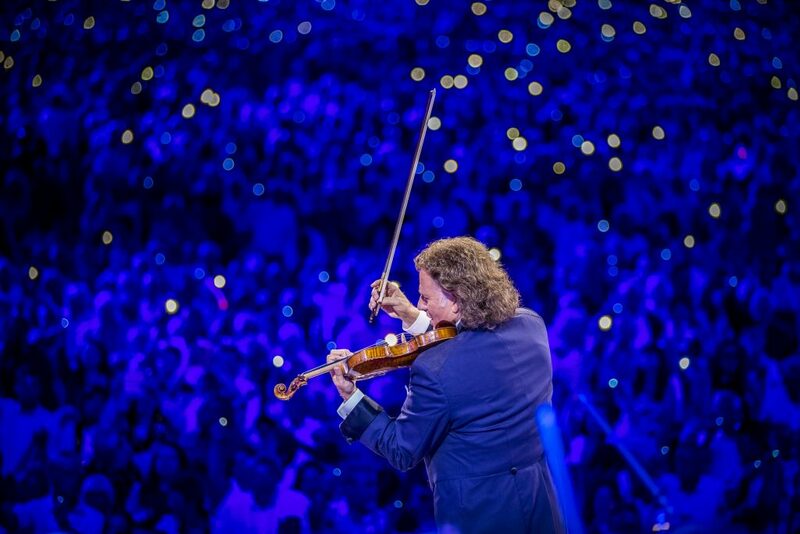 André Rieu is excited to announce an extra concert on Thursday 18th July 2019, after his first eleven concerts on the Vrijthof in Maastricht are now almost completely sold out. The extra date is the 100th concert going on sale on the Vrijthof since 2005 and will go on sale on Friday, 25/1 at 10.00. National and international ticket demand led to a total of over 80.000 tickets having been sold up to date. Starting 2019 with his traditional New Year’s concerts in Amsterdam and Antwerp for an audience of more than 20.000 and his hugely successful cinema broadcast from Sydney around the world, André is currently touring Germany, followed by Portugal, Rumania, Austria as well as Eastern and Northern Europe. His latest album, “Romantic Moments II” was released on 7th December. With more than 700.000 tickets sold on five continents, André celebrated the most successful year in his career in 2018 and he and his Johann Strauss Orchestra continue to excite audiences all over the world; before returning to his beloved hometown for the 2019 highlight: The Annual Maastricht Open Air Concerts. Tickets and travel packages available on the website.